We were just talking about Guy Pearce the other day and now he shows up as Peter Weyland in this new viral campaign for PROMETHEUS. Ridley Scott has tried so hard to keep this movie a secret from us fanatics but he can't deny Weyland being in the movie and the freaking Alien link it has. Basically this shows Weyland at TED2023 as he gives his speech to an audience telling them he wants to change the world. Click HERE to watch the viral campaign. "Peter Weyland has been a magnet for controversy since he announced his intent to build the first convincingly humanoid robotic system by the end of the decade." "Whether challenging the ethical boundaries of medicine with nanotechnology or going toe to toe with the Vatican itself on the issue of gene-therapy sterilization, Sir Peter prides himself on his motto, “If we can, we must.” After a three year media blackout, Weyland has finally emerged to reveal where he’s heading next. 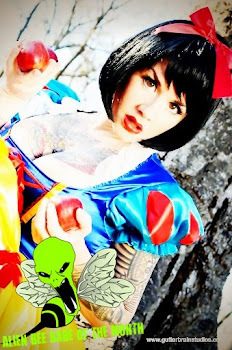 Wherever that may be, we will most certainly want to follow." 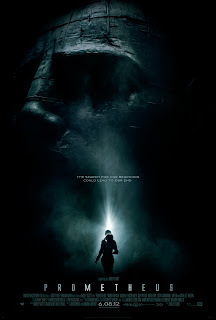 Prometheus hits theaters on June 8th and I can't wait!